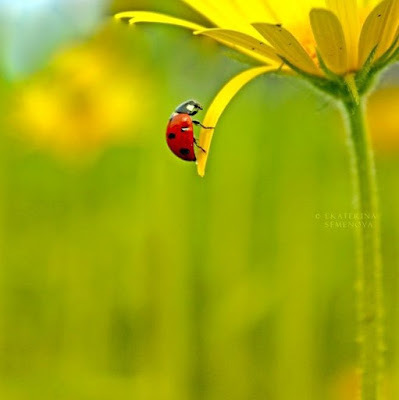 A loveliness of ladybirds | That Angami Girl! Did you know a group of ladybirds is called a ‘loveliness’? Yes, that’s right…..a ‘loveliness’ of ladybirds. It turns out that the collective noun for these cute polka-dotted beetles is ‘loveliness’. I saw a tweet with this fun fact, so I googled it and discovered that it was indeed so. I didn’t know that. I only knew that having a ladybird brings good luck. If a ladybird lands on you, be careful not to brush it off. Stay very still and count the spots. The number of spots will reveal the number of months you will enjoy good luck. And, of course, you should never ever kill one because that would mean the opposite of good luck – very, very bad luck! Oh yes, that’s what we believed as kids. But I've never heard of a loveliness of ladybirds……. Who would have thought? But then again what else would ladybirds be? Loveliness…..that sounds so right.